Isotopes are atoms with the same number of protons and electrons, but with different numbers of neutrons. Since the numbers of protons and electrons effectively determine the reactivity of an atom, isotopes have the same basic chemical properties and are the same element. They have different masses, though, since they have different numbers of neutrons. 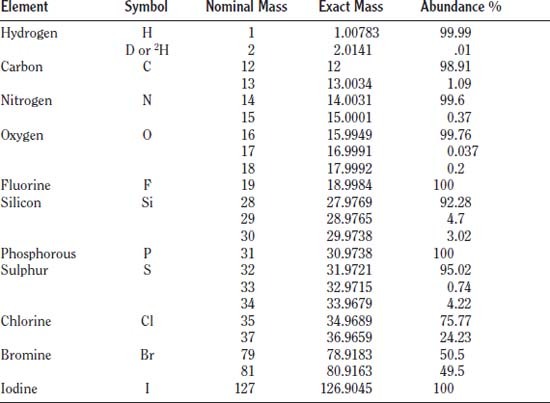 The various isotopes of an element are usually present in relatively fixed ratios throughout nature, but in some cases the ratio can depend on the environment or molecule in which they are found. For example, the element carbon most commonly exists with 6 protons, 6 neutrons, and 6 electrons (referred to as Carbon–12, the total number of particles in the nucleus). A small fraction, however, have 6 protons, 7 neutrons, and 6 electrons (Carbon–13). Roughly 99% of carbon atoms have 6 neutrons, but most of the remaining 1% have 7 neutrons.